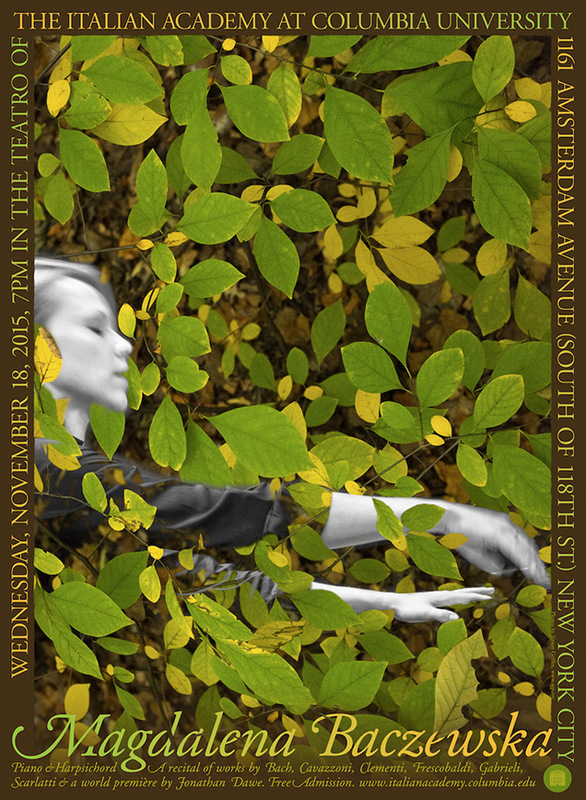 I photographed piano virtuoso Magdalena Baczewska for a poster for Columbia’s Italian Academy, and leaves in Inwood Hill Park two days later. The idea to combine the two came while listening to Magdalena’s performance of Bach’s Goldberg Variations on harpsichord. If you are in New York City on 18 November 2015 don’t miss her free concert at the Italian Academy.